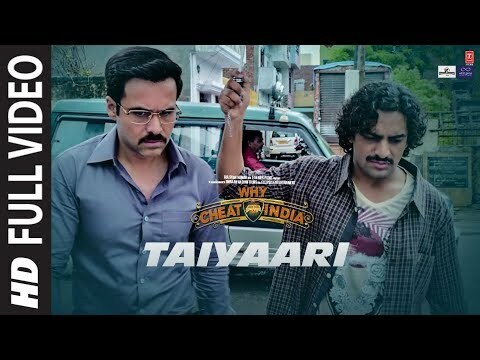 Presenting full video of the song "TAIYAARI " from the movie, "WHY CHEAT INDIA". It features Emraan Hashmi and Shreya Dhanwanthary in the lead. The movie is written and directed By Soumik Sen , Produced by Bhushan Kumar, Krishan Kumar,Tanuj Garg ,Atul Kasbekar & Parveen Hashmi. Co-Producers are Vinod Bhanushali, Sunny Khanna, Shanti Sivaram Maini, Swati Iyer Chawla, Piya Sawhney.